The Online Journal of Distance Education and e-Learning (TOJDEL) welcomes you. TOJDEL would like to thank you for your online journal interest. The online journal system has been diffused very fast since January, 2013. It has continued to diffuse new trends in distance education and e-learning to all over the world. We hope that the journal will also successfully accomplish our global distance education and e-learning goal. Any views expressed in journal are the views of the authors and are not the views of the Editor and TOJDEL. TOJDEL invites your article contributions. Submitted articles should be about all aspects of distance education and e-learning. The articles should be original, unpublished, and not in consideration for publication elsewhere at the time of submission to TOJDEL. Manuscripts must be submitted in English. 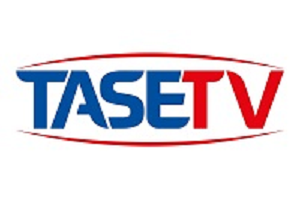 TOJDEL is a part of TASET (The Association of Science, Education and Technology) organisation. For any suggestions and comments on the international on-line journal TOJDEL, please do not hesitate to send mail. TOJDEL is guided by it’s editors, guest editors and advisory boards. If you are interested in contributing to TOJDEL as an author, guest editor or reviewer, please send your cv to tojdel.editor@gmail.com.